This is a free webinar with primary focus on discussing various Intellectual Property (IP) issues and how IP Portfolios are to be created, managed, protected, and enforced. Various aspects such as importance of IP Protection, modes of IP protection, associated costs, timelines and much more would be covered in this Webinar. We would also be clearing all the doubts post-webinar. Parvez Kudrolli is a Senior Associate at Khurana & Khurana and IIPRD. His expertise lies in consultancy, business development and client relationships relating to Patent Drafting, Searches, Analysis, Prosecution, Training and Commercialization. 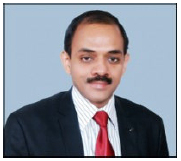 Parvez has been an Inventor, Patentee and Entrepreneur and has obtained patents for his inventions in India & USA. He has experience of developing & inventing software, drafting & prosecuting patents, conducting patent workshops, commercializing patent rights and managing a Software IPR related startup company. He has adegree in B.Sc. (Maths) and is a Registered Patent Agent admitted to practice before the Indian Patent Office.